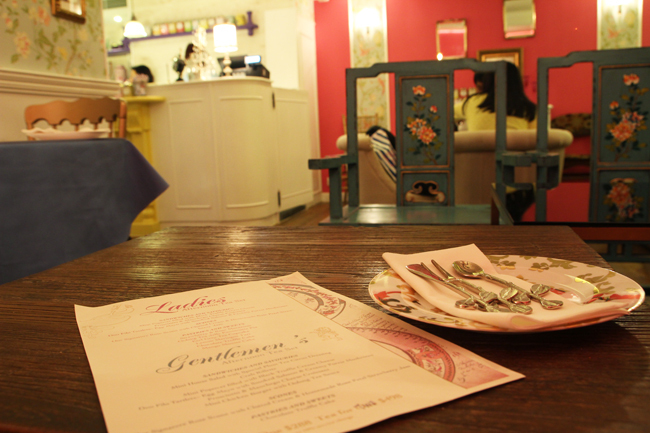 Tucked in the mid-levels is the cozy Tea Saloon by Another Fine Day. 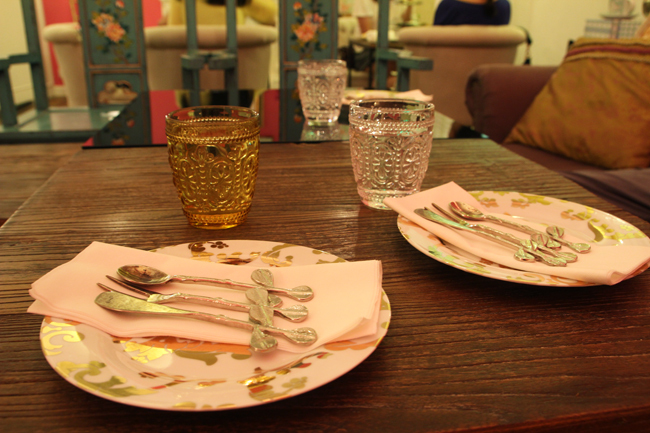 Its decor is so girly, it was love at first sight for me! 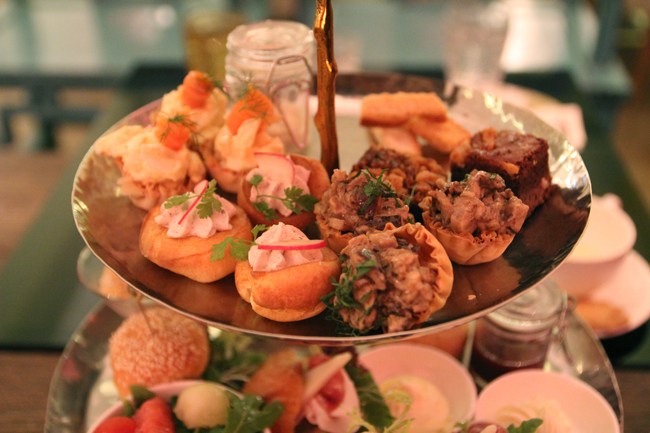 I visited with my friend Connie and her boyfriend, so we had a three-people high tea set. 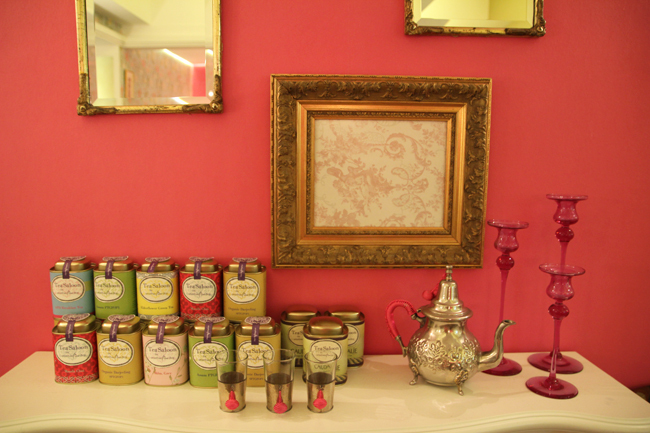 Interestingly, Tea Saloon offers a Ladies set, with more sweets, and a Gentlemen Set, with more savories. It's goes without saying that it's not a must to choose the set according to your gender, but we still did, so the set on my pictures consists of two ladies sets and one gentleman set. 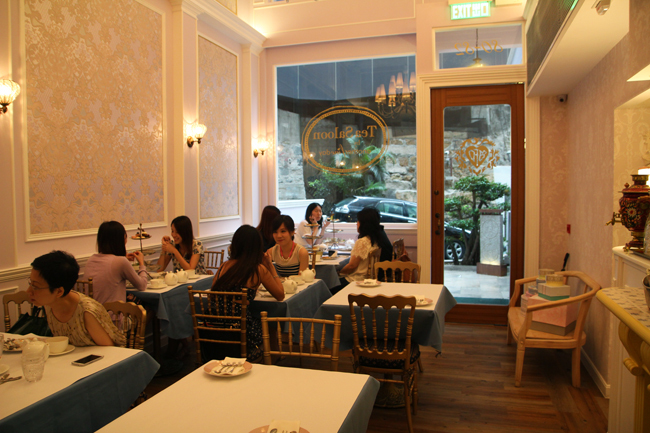 The whole ambience reminded me of The Tea Room by Antique Patisserie, which is one of my favorite places for high tea in Hong Kong. 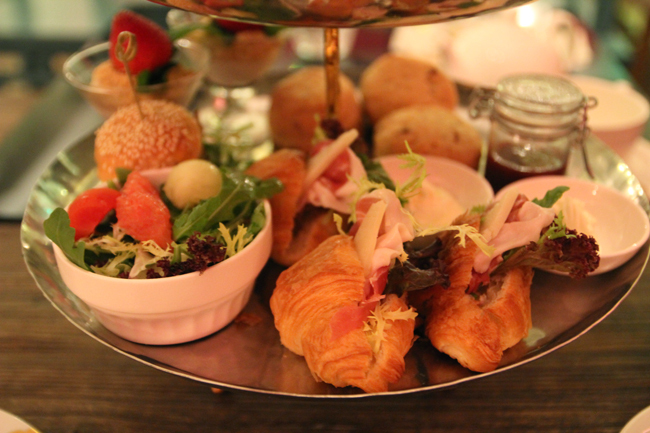 Unfortunately, I'd say the food was not as good as in Antique Patisserie. 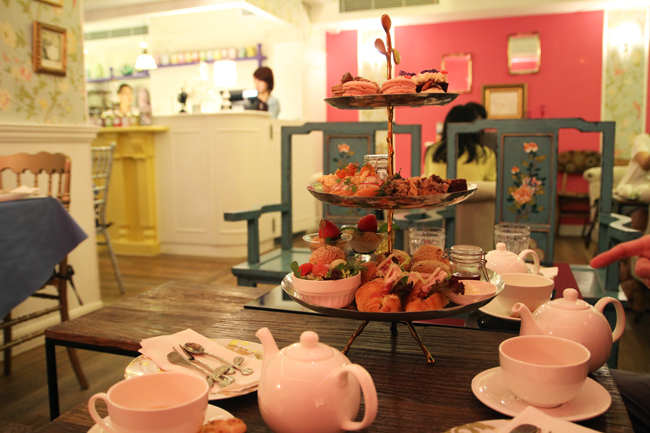 This added to the fact that the afternoon tea set for two at Tea Saloon by Another Fine Day costs a pricey HK$498 + 10% service charge, left me thinking that this set was not really worth it. 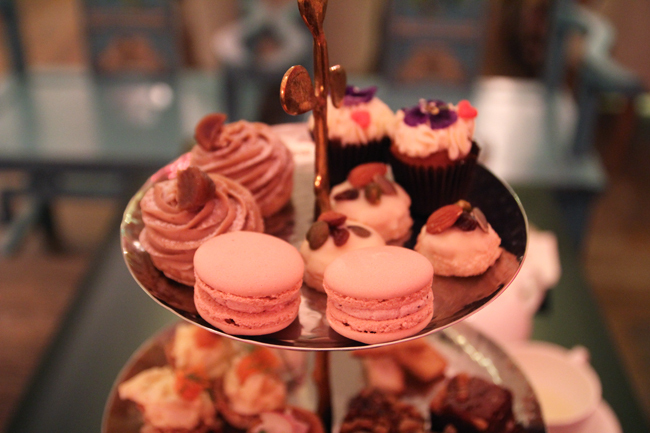 The tea menu was good and complete, and I went for the Vanilla Rooibos which was delicious and allowed me to sleep well at night! I'm not sure I'd come back to this place for afternoon tea. It's really pricey for what it has to offer, for a similar price (cheaper, actually!) I'd rather go to Antique Patisserie, the Shangri-la, or the Mandarin Oriental. They are cheaper, serve better food, the ambience is just as nice, and they are easier to find! Tea Saloon by Another Fine Day is really way too up in the mid-levels, we had to get a cab from Central to get there, how annoying! Would I recommend it? Probably not. Stunning blog. I don't have words to praise.